'Take the challenge' in July is about creating something you don't usually create. It could be style, colors, theme or products. I NEVER EVER use the color red. I don't like it. And all of a sudden I felt the urge to make something in red! 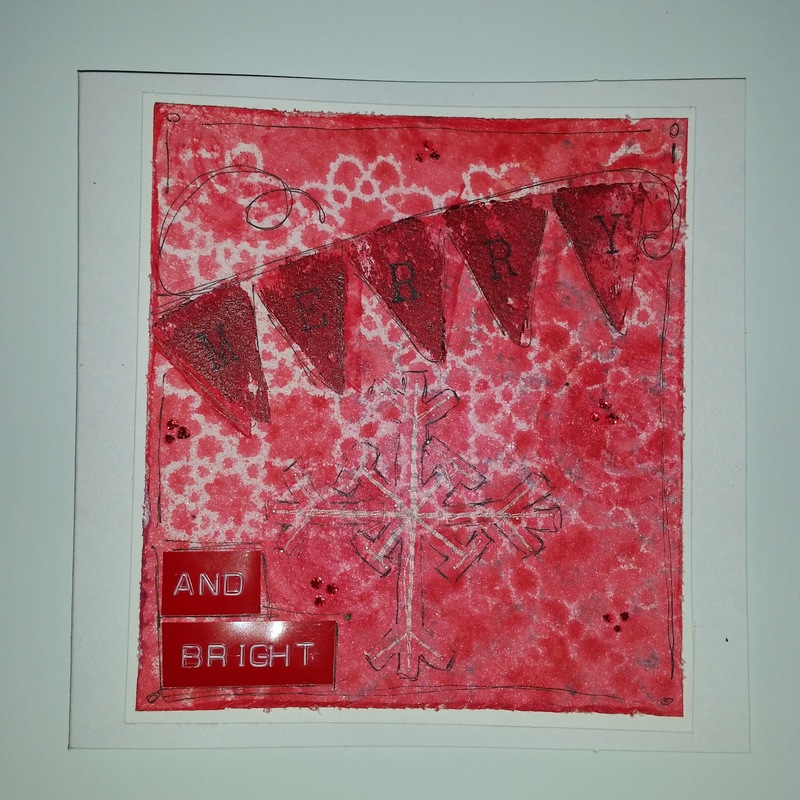 I have to admit that I got super inspired by Kate Crane on her blog The Kathryn Wheel, both by the use of color and by the use of carved stamps. I love her work! 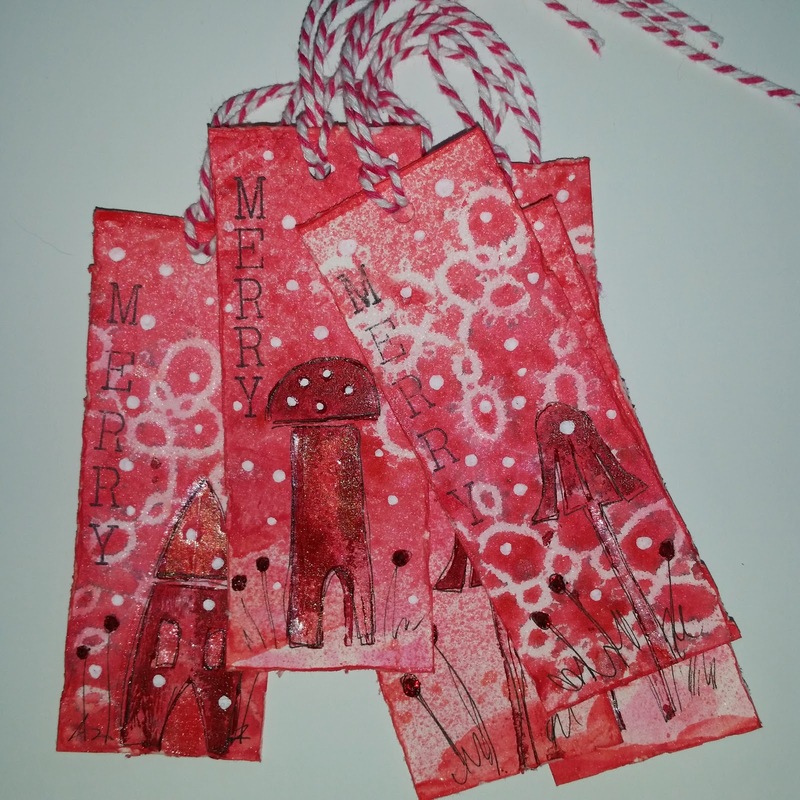 So, I usually don't create something in red, I usually don't carve my own stamps, I very seldom make Christmas cards (only once a year!) and I very rarely sew on my cards! And I really, really like the outcome. I actually do like this combination of reds! 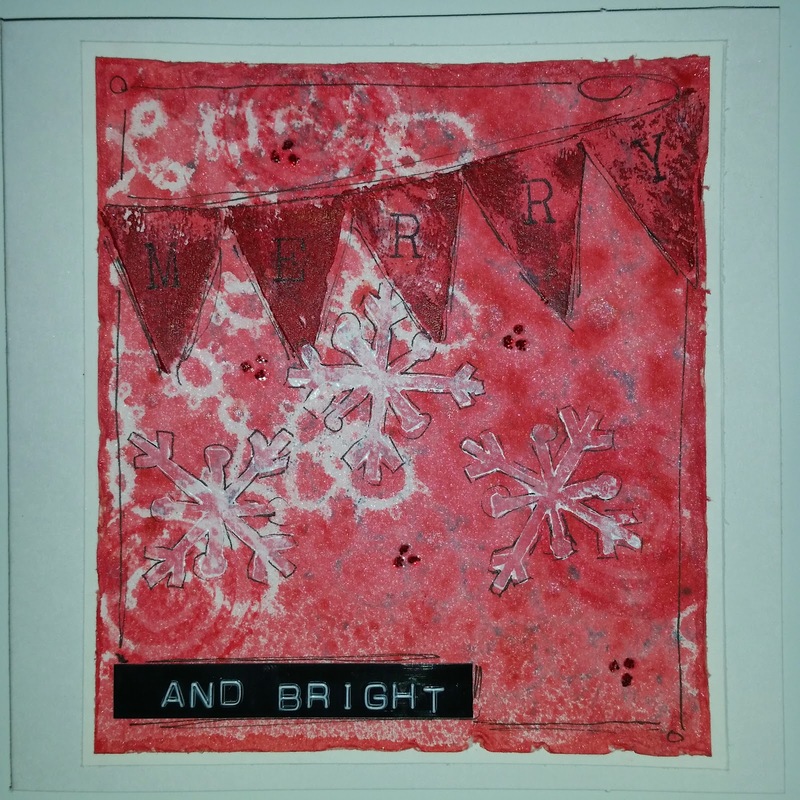 One sheet of watercolor paper made four cards and six Christmas tags.